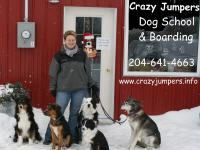 Crazy Jumpers Dog School & Boarding maintains one of the most comfortable and interactive Dog Boarding Facilities in the Interlake. 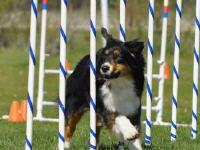 Your pup will have the greatest time in a fun and safe environment away from home. 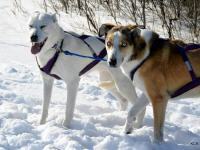 Your dog will have a wonderful time with large outdoor play yards and multi-dog playgroups based on activity level to burn off some extra energy and to "just be dogs". 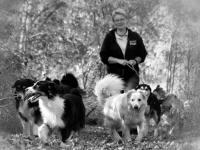 We can also provide boarding services to dogs who don't enjoy the company of other dogs - with individual activities and walks. And if they need to stay over night - fine, then it turns into boarding. 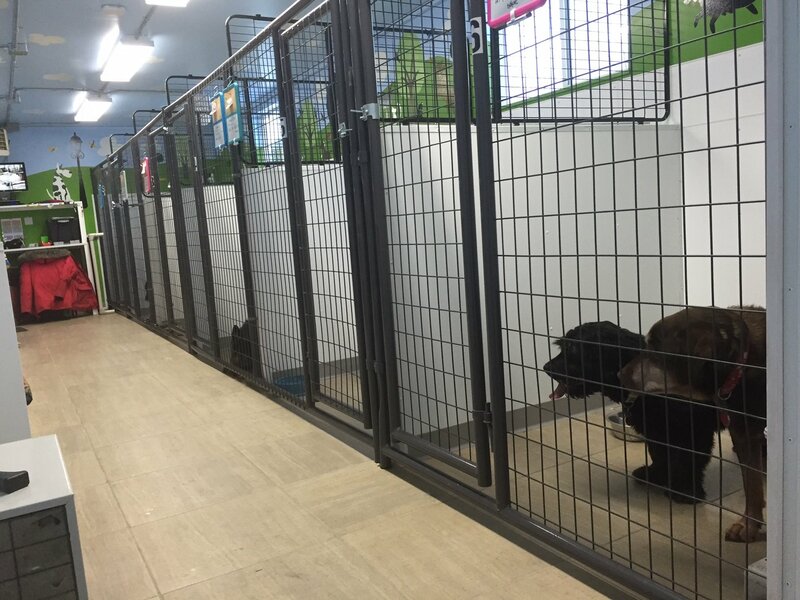 ** due to limited boarding space we don't offer day care services on a regular schedule anymore, only for the random days. 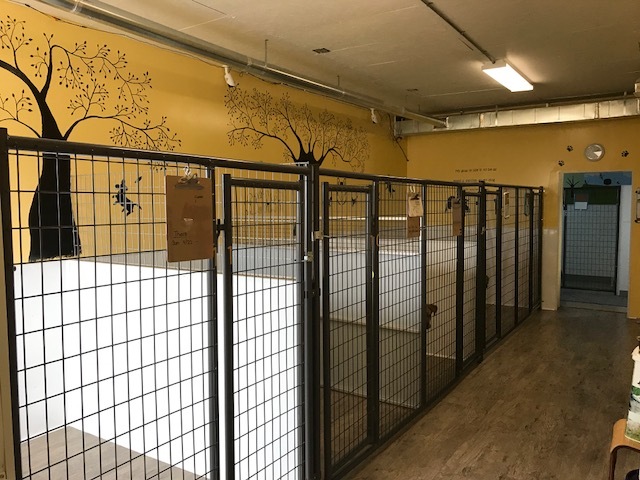 Our daycare dogs stay in a boarding room like the other boarding dogs and go out with dogs that we think are a good match. 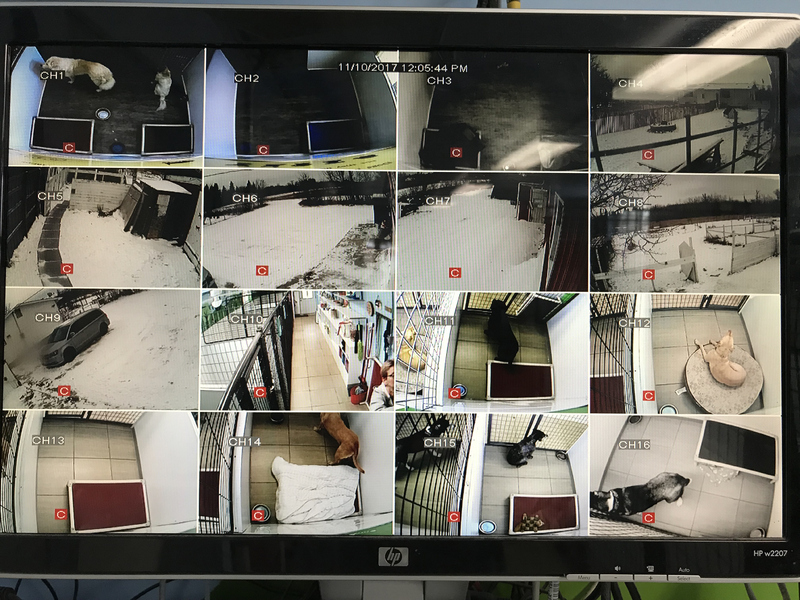 They do NOT spend the whole day in one big room with other dogs, as we don't have that extra person supervising and we believe this is very stressful for some dogs. 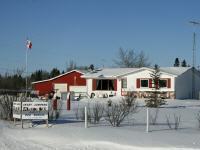 We are offering 11 luxurious and large rooms in different sizes to board 1-3 dogs in each room, depending on the dog’s sizes. 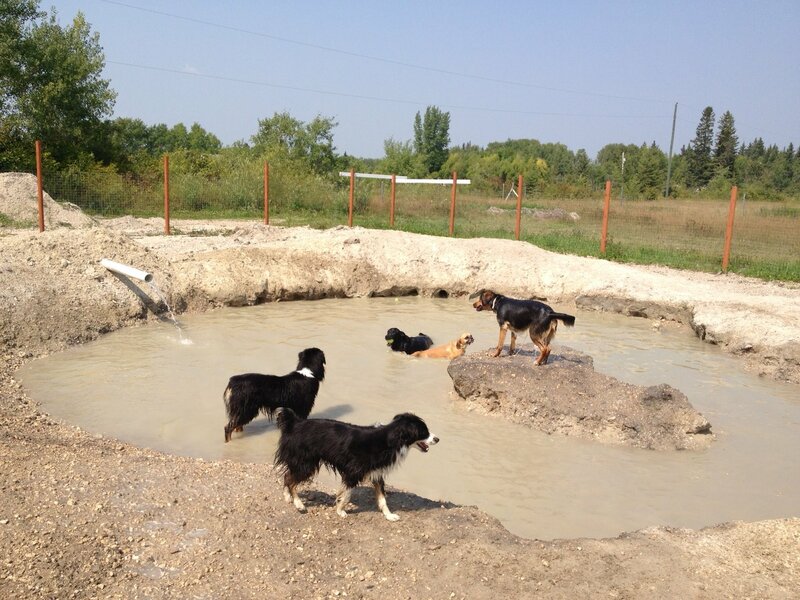 So if you own more then one dog, they can stay together in the same room. 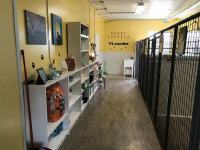 Our boarding dogs enjoy staying in their separate rooms for resting, eating and overnight. 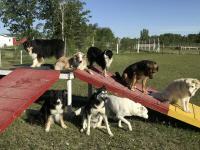 They also like playing with other boarding guests as well as our own pack. 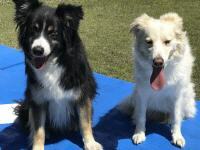 If the weather is warm they can spend a lot of time outside, playing with other dogs, swimming in the pond or napping in the shade. Inbetween we will bring them back into their rooms for resting and some private time. 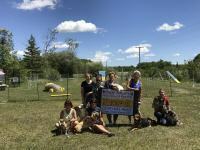 Please be on time, we have a very busy schedule with walking/playing/training with dogs, feeding, doing chores and teaching classes. Unexpected visits will interrupt our schedule. A deposit of 50% is required to reserve your booking. 48 hours notice of a cancellation is required to receive a refund.